Summary: After the loss of her neglectful parents in India, young Mary Lennox is sent to live with her widowed uncle in a Manor on the English moor. 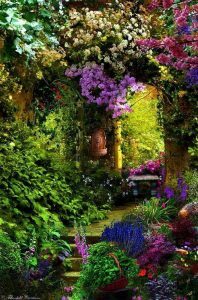 Bitter and angry, Mary is forced to play by herself among the gardens of the manor, but when a lovely robin shows her the way into a hidden garden, Mary’s world and heart are changed. As she delights in the flowers and creatures of the moor, she discovers that gardens aren’t the only secrets at Misselthwaite. 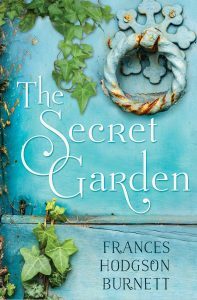 Highlights: The Secret Garden is the perfect story to read in spring as it vividly details the magic of growth. Burnett makes the reader feel the warm moor winds and the lush green of the gardens, encouraging the reader to step outside and reach down into the earth. This book is a healer, and if readers are looking for a gentle yet magical read, Burnett’s characters, writing style, and timeless story will take hold of your heart. Lowlights: This book was published in 1911 around the time the Yorkshire dialect was popular. Burnett has many characters who speak this way and it can be both challenging and frustrating, especially for younger readers, to understand what’s being said. Our library, however, has an annotated edition of the book that may help to understand the dialogue. FYI: This book has inspired a number of film adaptations, but my personal favorite is the 1993 version with Maggie Smith. It is a great family film and a perfect end to reading this book. I would also recommend this book as a read-aloud or continuous bed time story for families with young children, especially around this blooming spring season.